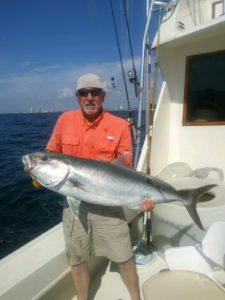 Our fishing charters in Fort Lauderdale have been offering good action on the majority of days offshore. Near shore reefs less than a mile and a half off the beach are continuing to hold baitfish and keeping fish we like to target right out front of our inlet. The weather has been decent with plenty of sun and the expected south Florida summer showers on some days. We continue to focus on those near shore reefs for the action they provide for our anglers. 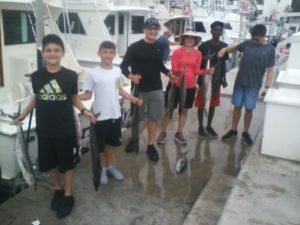 School to slightly larger sized Kingfish right on top of those reefs, and just off the edge out to 130 feet of water has held them and as we mentioned there are good numbers on most days right in front of the inlet. Slow trolling in large circles over and then off the edge of the reef line will draw bites. Deeply fished lines as almost always will produce the most action and we as most of the fleet prefer to use Bonito strips with a sea witch or similar style lure coupled with those Bonito strip baits for that. And the Bonito that our crews cut to make those strip baits continue to roam the reef line with those Kings. 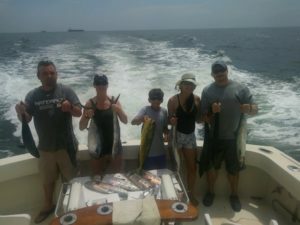 We have spent some time off the edge looking for Mahi-Mahi and we have caught them but despite some decent catches the fishing for them remains erratic. If Mahi-Mahi is your focus we are more than happy to focus on them but it’s hero or zero right now for them and a minimum of a ¾ day, preferably an all day commitment, gives the best chance for success as these fish are now into their summer pattern of preferring the deeper water as opposed to the near shore reefs as we have mentioned in previous reports. Some snappers available with only an occasional Grouper. All sized of Amberjack now on the wrecks.Tilefish in the really deep water when the current allows. There have been some strong current days that have limited this fishing. 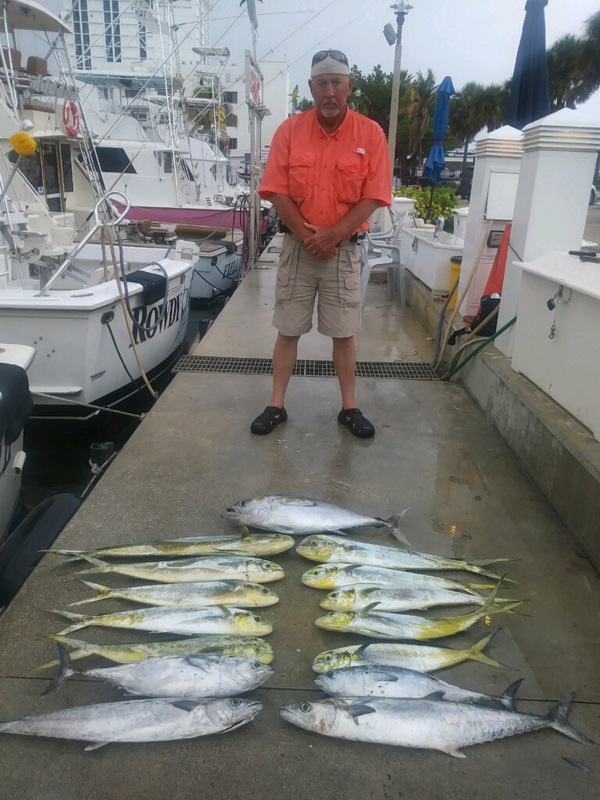 Occasional Wahoo and some summertime Sailfish around, but not in any numbers.